Scripture is very clear. 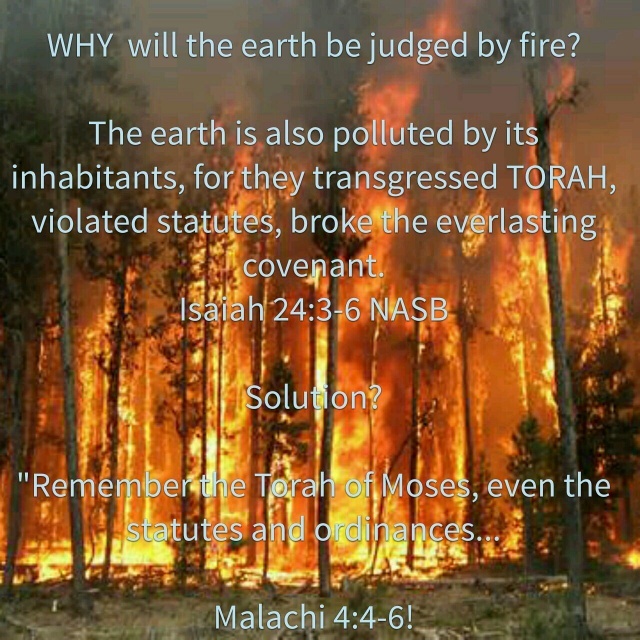 The EARTH and ALL its inhabitants are judged for breaking Torah. Christendom teaches the earth is judged because of sin. Well, if sin is breaking Torah (1 Jn 3:4), the wise will learn to keep Torah. This entry was posted in A Thought... and tagged fire, judgment, last days, law, prophecy, sin. Bookmark the permalink.